If you’ve watched any of the previous seasons you’ll know that this truly outdoor South African cooking show is no walk in the park. 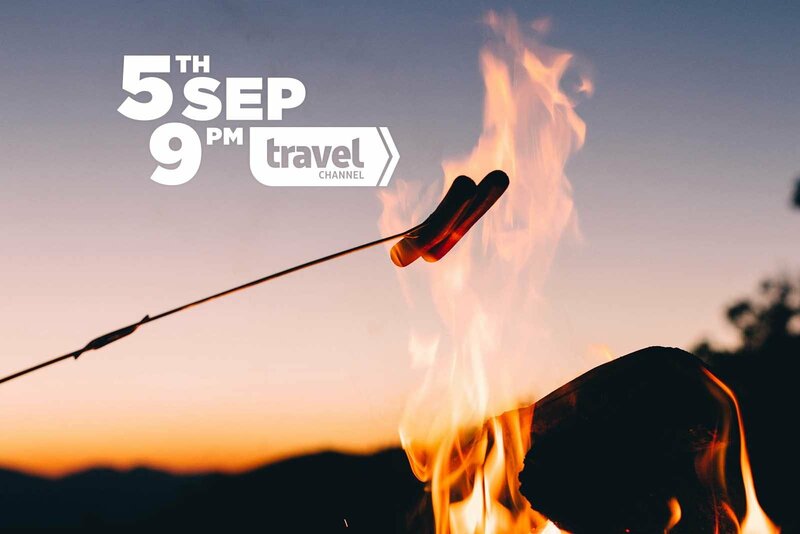 Ultimate Braai Master season 5 (Premieres Tuesday, 5th September at 9pm on Travel Channel) is set to be no different. After having the honor of spending a windy afternoon with Justin Bonello in the unexpected heart of the urban jungle, Sandton, we walked away with some valuable braai information (coming out soon!). But more importantly a lot of excitement about the new Ultimate Braai Master Season 5. Being in the film industry is tough and being in the food industry is arguable tougher. From what we gather being in both of these and putting it all on TV for your entertainment is another kettle of wings all together. The learning curve is steep but Justin Bonello comes with heaps of experience and a long haul in both the film and food industry. We were able to smoke out some of the key aspects that are important to Justin and the Ultimate Braai Master Season 5 team. A primary aspect is choosing contestants. Recruiting these contestants is like finding potential athletes; It’s as much about their mental strength as it is about their athleticism. Justin and his team know this very well. The show ultimately puts contestants through their paces 24/7 (both on and off set) to find who truly deserves the title of Ultimate Braai Master. Four seasons of the show have also taught Justin and the team how to build even more rigorous and demanding challenges. Ultimately, spending 52 days on a 8000km road trip across South Africa can be a difficult task. Even with friends and family. Let alone a group of strangers from various walks of life. But this is what makes the show so magical. We are so privileged in South Africa to have such diversity which makes for great entertainment in the best and worst kinds of ways. Justin Bonello understands this idea of cultural diversity in the deepest sense (He couldn’t even recall the amount of nights spent on a bed made of “dung” in the heart of the Eastern Cape. His favorite place in South Africa). Here’s the EXCITING NEWS. This season we will be taken through some of the most beautiful places in South Africa. Some of these include Cape St Francis for the 1st episode where we will meet the teams which will be competing for a massive cash prize, car and the title of the Ultimate Braai Master. The season will air at 9pm on the Tuesday 5th of September on the travel channel. There will be 13 episodes of the Ultimate Braai Master Season 5, each running for 60 minutes. Some of the epic adventures within South Africa where contestants will be tried in the most intense “physical, emotional and psychological” ways include. Jeffrey’s Bay, a FIVE star hotel (with a twist), Gamtoos River, the Wild Coast under the transkei stars and some rugged outdoor challenges under the beating African sun. From potjies, pap, springbok and bushpig to burgers, seafood paella, and many more dishes and recipes from Ultimate Braai Master Season 5, there should be no excuse to not have your eyes glued to the screen for an amazing weekly show. Season 5 of Ultimate Braai Master is guaranteed to amaze, entertain, surprise, shock and educate you about the beauties of your country along with the hardships and challenges of cooking under pressure! For Ultimate Braai Master Season 5 recipes, check here. And for more information about contestants and judges have a look here. We’ll be updating and discussing each episode weekly. We’ve also got some more sizzling content coming out soon. Expect some braai, kuier and cooking skills with Justin Bonello himself. This entry was posted in News and tagged Ultimate Braai Master Season 5.